We use money every day to take care of bills and purchase the things we need to get by in life, yet rarely seem to think rationally about spending it. 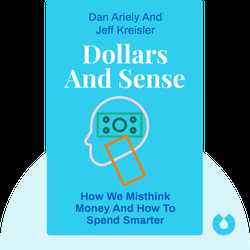 Dollars and Sense (2017) explores the irrational human nature that leads to bad spending habits, why we’re so bad at saving money and how to resolve this all too human shortcoming. Dan Ariely is a professor of psychology and behavioral economics at Duke University. His work has been frequently published in scholarly journals as well as the New York Times, Washington Post, and Scientific American. He’s also the author of Predictably Irrational (2008), The Upside of Irrationality (2011) and The Honest Truth about Dishonesty (2013). 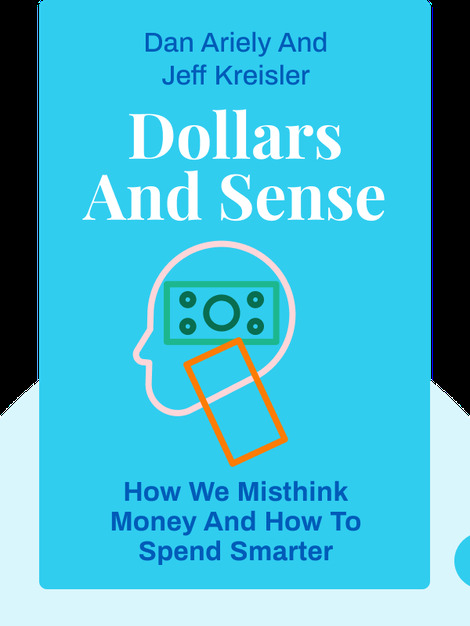 Jeff Kreisler is a former lawyer who specializes in using humor and satire to promote behavioral economics and better financial habits. A graduate of Princeton University, his first effort was the satirical book Get Rich Cheating: The Crooked Path to Easy Street (2009).